I play Space Invaders - the original one - on a weekly basis. I have a $3000 arcade cocktail cabinet in my home, and it's got something like 10,000 games on it, and basically all I play is Space Invaders (okay, I occasionally break out Pac-Man and Frogger, but it's mostly Space Invaders). 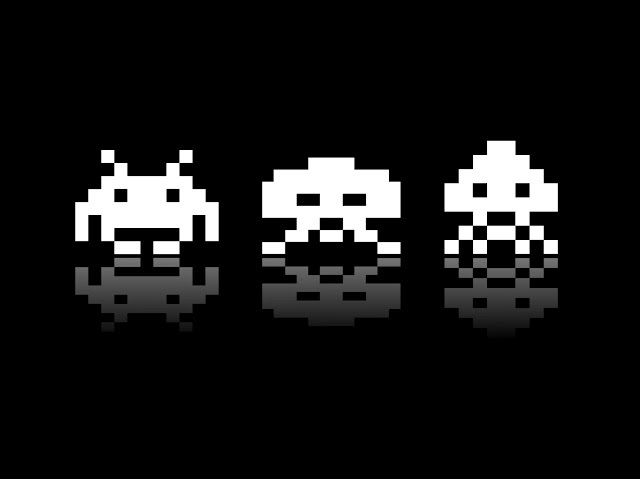 Related reading: An ode to the beauty and artistry of Space Invaders. As far as really retro games go, Space Invaders is more than just a game to me. It's a passion and something I will forever have the time for. It's also one of the few really retro games that is almost never bettered. Except by one game. Space Invaders Extreme. Space Invaders Extreme is the perfect example of how you take a classic game and completely modernise it so that it's dynamic and exciting, but still holds true to the original. Originally released to mark 30 years of Space Invaders on the Nintendo DS and PSP, it was also made available on Xbox Live Arcade in 2009. Now, thanks to Taito and Degica Games, this masterpiece and classic in its own right is coming to Steam. Later on in the year, Taito and Degica games are also bringing Groove Coaster to PC. This game has been around for ages on iPhone and to this day remains one of the best, most compelling rhythm games out there. It, too, makes good use of the Space Invaders aesthetic and design. This is great news for Space Invader fans, and the franchise has been around so long now (40 years!) that it does actually need to be introduced to a new generation. Hopefully, after discovering how amazing Space Invaders Extreme is, new fans can then go back and discover a genuine piece of history, and one of the most important games of all time.